What's more cute than a unicorn tote bag! A fun project for unicorn fans and a great tote show off! Get started with this easy sewing project with our step by step directions! Step-2: Determine the size and pattern for the tote bag and trace it on the main fabric with a pencil or tailoring chalk, make sure to keep 1 inch extra along all sides of the pattern. Cut out the tote bag pattern from the main fabric using scissors. Similarly trace and cut the inner parts of the bag. Place both main parts together, I’m using plain fabric so there was no right side or wrong side for the fabric, in case you’re using a printed fabric you’ll have to place the parts together with their right sides facing each other. Sew along the sides and bottom part, keep the top side open. Similarly attach the inner parts. Step-2: Turn the right side out of the main pattern for the tote. Keep the inner part as it is. Place it inside the main pattern. Use needle and thread to stitch the top sides of the main part and the inner part of the tote. See picture of this step. Step-3: Cut out a long piece of fabric for the handle of the tote. Fold the long fabric piece 2 times and stitch along the sides to secure the folds. When you’re done stitching the handle attach it with the tote on both sides. Step-4: Cut out 2 pieces from a golden fabric into a horn shape. Cut another horn pattern from a foam piece but this one should be slightly smaller than the fabrics for the horn. Place the foam horn pattern between the golden fabric horn patterns and glue or stitch the sides of the fabric by keeping the foam piece inside. 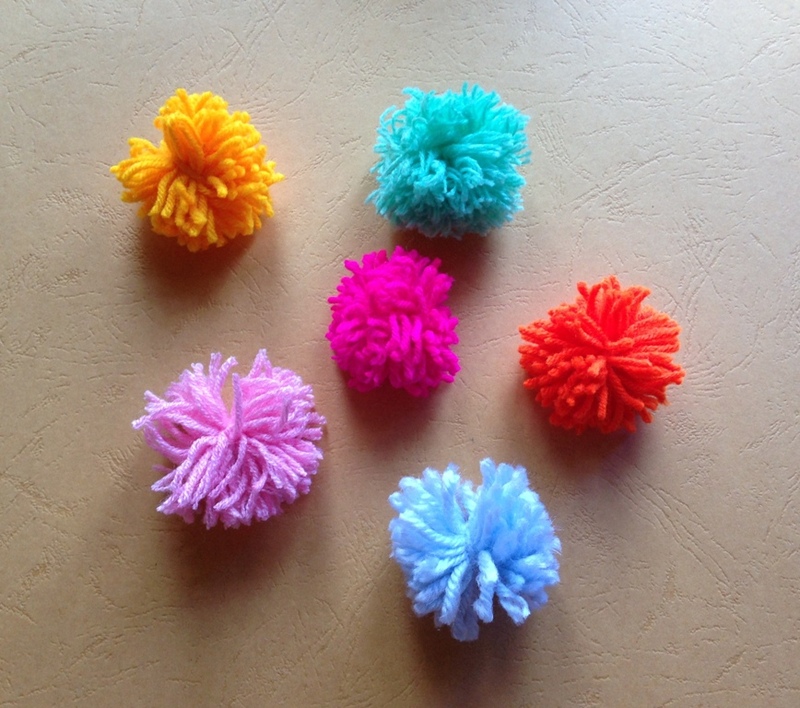 Step-5: Make 5-6 pompoms using bright colored yarns. I made 6 pompoms using 6 different colored yarns- baby pink, light blue, hot pink, yellow, orange and peach. Step-6: Use black fabric paint to draw the eyes of the unicorn. Use hotglue to attach the pom poms along the top open side of the tote and finally glue the golden horn on the front top side of the tote, behind the pompoms. You can add more details if you want to, the variation you can come up up are endless! More Kids Crafts, Sewing Patterns and Ideas, Sewing Patterns for Bags, Purses and Clutch?